From time to time we get asked "How can I make a donation to the Lions?" Here is a form you can use which will also ensure we can claim the Gift Aid as well. If you are a Lion, and perhaps planning to visit our area, we hope that the information on our website will encourage you to visit us. Please telephone 0345 833 9547 beforehand. 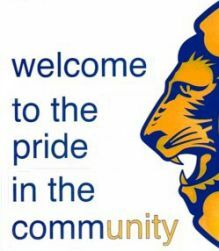 If you are not yet a Lion then please give us your skills, your time, your commitment and come and join us. We are people from all walks of life who support their local community through raising funds and making donations to a wide variety of organisations and individuals covering all ages and needs, whilst at the same time enjoying ourselves. Any help is gratefully received - and hopefully you will enjoy the activity and then maybe join Shirley Lions. Again just phone us on 0345 833 9547 or use the "Contact Us" page to find out more. Calls to this number will be charged at a local call rate.